It's called Thought Bubbles and Thought Bubble dies. The possibilities with this set are endless. I saw the sketch for this week's Retro Sketch and immediately thought of these fun little heart bubbles. I cut them out and attached them on to the card base, after scoring the lines at 2 1/2" and 3 3/4". I stamped the sentiment in Provincial Gray Fresh Ink and then rounded the corners with my Corner Chomper. I attached the card front to a Berry Sorbet card base. To give it some sparkle, I added some Star Dust Stickles to the middle of each heart. It is based on the original card by Kasia that you can see HERE. 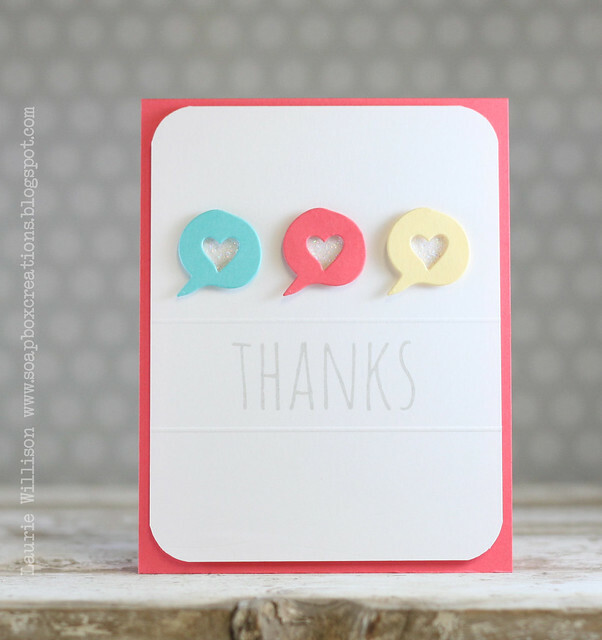 The others girls have some gorgeous cards created for today so stop by the Retro Sketches blog to see! 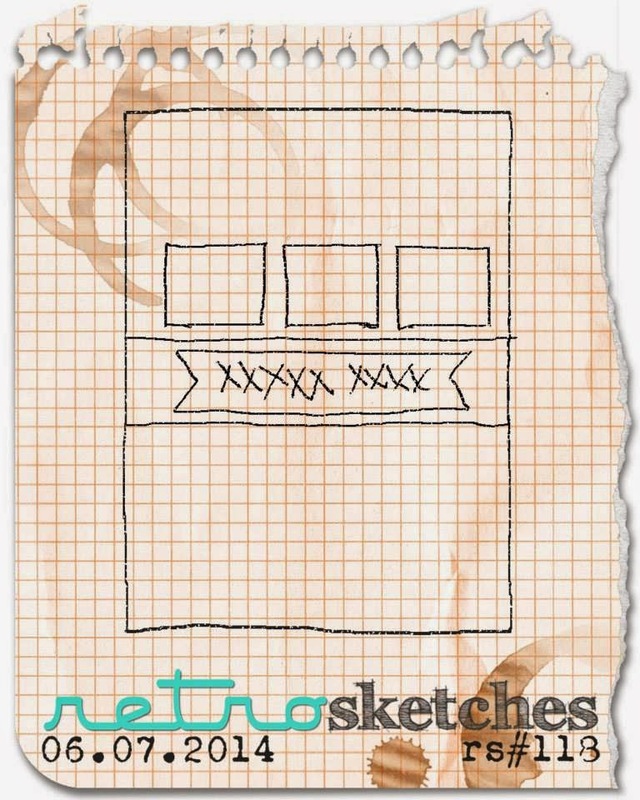 I hope that you get to play along with this fun sketch! so many possibilities! This is sooo sweet! 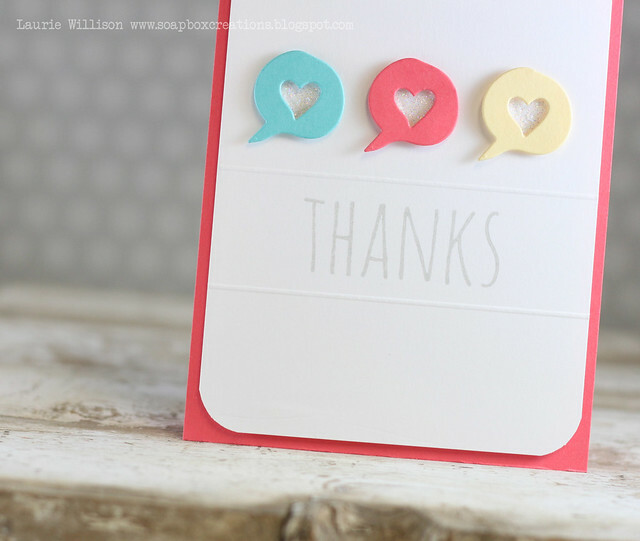 Love the colors and those little speech bubbles are adorable! This is so cute, love the bubbles! So simple and so totally sweet! SO gorgeous, Laurie!!! You always add little bits of awesome to all your cards, I love the scored lines!